According to The American Academy of Pain Medicine, more people in the US suffer with chronic pain than diabetes, coronary heart disease, stroke, and cancer combined. On top of that, neck pain is the third most reported type of pain, beat out only by back pain and headaches. Of course, many people come to our Highland Park, Saint Paul, Minnesota office seeking neck pain treatment, and Robert C Slater, DC has helped many of them find relief. This is a smart decision, as some research shows that over 90% of neck pain patients benefit from chiropractic care. A study published in The Journal of Orthopaedic and Sports Physical Therapy included 64 people who were suffering with neck problems. Roughly half were placed in an experimental group and the other half were designated to a comparison group. Both were given chiropractic adjustments of the neck as well as a home exercise program, whereas the experimental group also received thoracic spine adjustments. Information was gathered before treatment began and one week after the adjustments. The authors found that 94 percent of the experimental group reported "significantly greater improvements" in regard to pain and disability in their neck symptoms. Just 35% of the patients who received neck adjustments showed the same level of improvement, showing that thinking about the entire spine is an important part of restoring the body's normal function. Another study posted in Physical Therapy involved 60 participants between the ages of 18 and 60 who were dealing with neck pain. Each man or woman was randomly assigned to one of two groups--thoracic spine thrust manipulation or non-thrust manipulation--with follow-up exams occurring two and four days after the treatments. The investigators discovered that the study patients who received the thrust manipulations (the same adjustments that offered such positive results in the first study) "experienced greater reductions in disability" than the patients who received the non-thrust adjustments. Their pain was lower as well, which shows that this type of approach offers many benefits. Another study also found the same kind of positive outcomes after thoracic adjustments in a patient who had a failed neck surgical procedure. This specific case involved a 46-year-old patient who had recently had neck surgery but still reported neck pain, headaches, pain in her elbow, and muscle fatigue. The woman reported decreased pain in her neck and lower headache intensity, immediately after the first chiropractic treatment session. After six weeks of care, which involved chiropractic, exercise, and patient education, the patient still placed her pain at a zero on a scale of 1 to 10. Her neck disability improved as well, with a rating score that represented that it was a "great deal better." It is scientific studies like these that prove the advantages of chiropractic techniques, even if you've already attempted medical procedures that didn't provide relief. So, if you are dealing with neck problems and would like to find a solution that has a high success rate, try chiropractic. It may just be the help you're looking for. Our office is in Highland Park, Saint Paul, Minnesota and Robert C Slater, DC can help you recover from neck pain. Give us a call today at (651) 699-3366. Benefits such as these have been seen to be particularly helpful for individuals who suffer with chronic conditions such as arthritis and asthma. Massage therapy has also proven advantageous for burn injury patients, people with high blood pressure, and women who suffer from premenstrual syndrome. Even preterm infants have shown benefits with massage therapy as they have better levels of weight gain. To learn more about the massage therapy services we offer in Highland Park, Saint Paul, Minnesota, give our office a call today at (651) 699-3366. Knee pain is a frequent issue for people in our Highland Park, Saint Paul, Minnesota chiropractic office, and Robert C Slater, DC has happily provided many of these folks relief. This is mostly because chiropractic care has been found to help with many types of knee pain. For example, some patients encounter pain in and around the knee tissues due to osteoarthritis. Research has shown that this ailment responds very well to chiropractic--and rather quickly, too. In fact, one paper published in The Journal of the Canadian Chiropractic Association found that individuals with osteoarthritis in their knees felt significant pain relief and enhanced function after just two weeks of chiropractic care. If your knee pain is due to a medial meniscus tear, chiropractic could likely help with that as well. One article reported that combining chiropractic with soft tissue treatment, rest, ice, and compression on the affected knee helped lower the intensity of the pain. Of course, sometimes a knee replacement surgery is required in order to repair the issue, and if that's the case, chiropractic care can also help improve the outcome. How? Medical research has found that people with low back pain frequently have less positive results after knee surgery. Thus, dealing with your back pain through chiropractic before having a total knee arthroplasty can assist with your post-surgery healing. No matter what your knee issue, Robert C Slater, DC can likely help. Call our Highland Park, Saint Paul, Minnesota office today and find out what we can do for you! We see a considerable number of men and women with headaches in our Highland Park, Saint Paul, Minnesota office, and Robert C Slater, DC has been able to aid many of them. Furthermore, the World Health Organization (WHO) states that one half of all adults have difficulty with some kind of headache problem, so this certainly isn’t shocking. One of the most common kinds of headaches that our patients are afflicted by is cervicogenic headache which, luckily, chiropractic can generally help. A cervicogenic headache is one that comes from issues in the cervical spine. It could be thanks to a problem with either the spine itself (in particular, the vertebrae, joints, or discs), or it may be due to a problem in the muscles and tendons of your neck. This problem in your spine brings about compaction or irritation of the spinal nerves, which can give you headache pain. How do you find out if the headache you are experiencing is a cervicogenic headache? Other than getting a diagnosis from a healthcare expert, a frequent symptom of cervicogenic headaches is tenderness or pain in your neck. This is sometimes associated with pain in the back of your head or between your shoulder blades. Considering cervicogenic headaches will not go away until whatever issue is inducing them is remedied, it is essential to get treatment as opposed to just trying to "wait it out." Chiropractic care is an effective solution, and one that can provide a considerable amount of headache pain relief. In one study released in Chiropractic & Osteopathy, specialists followed 80 people who had repeated cervicogenic headaches. Half got chiropractic care and the other 50% underwent light massage therapy. Each participant was examined 12 and 24 weeks after the procedures and it was found that chiropractic provided the optimum results. Specifically, this study revealed that chiropractic adjustments offered patients enhanced pain relief and reduced the frequency of headaches that occurred. What's more, it also diminished the disability that resulted from these painful headaches. 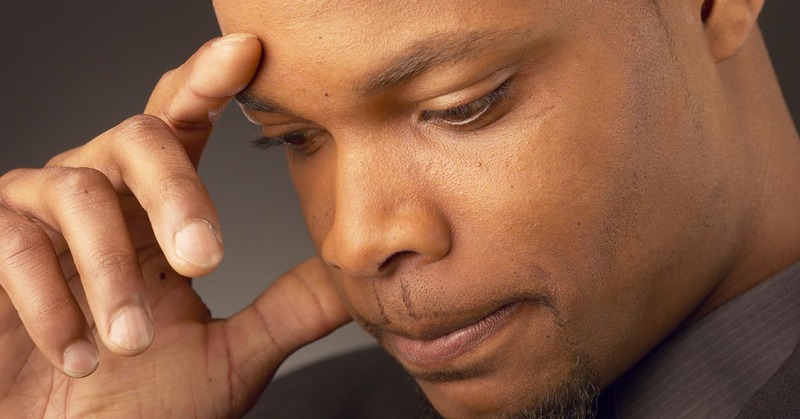 To find out what Robert C Slater, DC can do for you and your headaches, call our office today. We'll do our best to get you the pain relief you need! Regrettably, quite a few of our Highland Park, Saint Paul, Minnesota patients know the pain associated with a herniated disc all too well. Fortunately, Robert C Slater, DC has helped many people with disc pain, and a number of scientific studies have verified that chiropractic can help people recover from this kind of condition. In one study, specialists from Switzerland recruited 148 patients who were suffering with pain in their lower back and legs due to a disc herniation (which was confirmed through magnetic resonance imaging, or MRI). Each individual then received chiropractic adjustments that focused on the area of his or her disc herniation. Data was gathered after the preliminary treatment session at set intervals--namely, 2 weeks, 4 weeks, 12 weeks, 6 months, and 1 year--to ascertain what kind of short-term and long-term effects, if any, chiropractic care offers when it comes to treating this particular condition. Among the data gathered was the individual's self-reported changes in both low back and leg pain. Investigators found that, overall, the study participants reported "significant improvement" for both types of pain every time the results were collected. In fact, over 90% of the study participants reported that their pain "improved" within the first three months, with 88% still citing improvement one year after their first treatment session. Even those people who were defined as "chronic" still claimed an improvement in pain at a rate of 89 percent one year beyond when treatment first began. This is the same positive effect that was found in the following case study. In this report, a 26-year-old man had presented with disc herniation symptoms such as pain in the low back, left leg, and left groin area, along with left foot drop and muscle weakness. He had endured these issues for more than two years after sustaining a sports injury, and his herniated disc was confirmed via MRI. Studies like these show how helpful chiropractic can be when it comes to alleviating herniated disc pain and reducing the symptoms they produce. 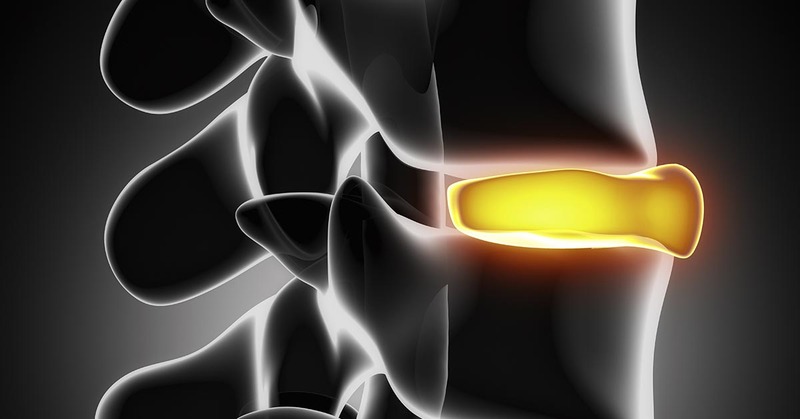 So, if you are suffering from back ache caused by a herniated disc and wish to find some relief, chiropractic may well be an effective solution. Don't suffer from chronic herniated disc pain. Give our Highland Park, Saint Paul, Minnesota office a call today at (651) 699-3366 for a consultation or appointment. We see a number of people with back pain in our Highland Park, Saint Paul, Minnesota practice, and Robert C Slater, DC has been able to help a lot of them find relief with chiropractic care. However, recovering from back problems doesn't necessarily mean having to decide between chiropractic care and medical therapy, as many people utilize both types of care with great outcomes. In a study published by the journal Spine investigators1 looked at a group of active-duty military personnel between the ages of 18 and 35 who claimed both acute pain and limited function due to back pain. Some of the study participants received treatment via standard medical therapy, while the rest received chiropractic adjustments along with regular medical care, as the authors wanted to see which patients fared better. Researchers discovered that the patients who received standard medical care combined with chiropractic scored "significantly better" than the patients who got medical care alone; 73% reported positive benefits compared to just 17 percent of the medical treatment only group who indicated the same amount of improvement. This was true regarding both pain and level of function at two and four weeks. Therefore, integrating these two forms of treatment can greatly benefit you--the patient--offering advantages when compared to medical care alone. However, while chiropractic care and medicine can work together, chiropractic offers some distinct advantages over medical therapy. Although it might seem as if each approach plays a 50/50 role, there is one major benefit that chiropractic has over medical care and that is in patient satisfaction. In fact, a study conducted at UCLA2 that was printed in the American Journal of Public Health found that, on average, chiropractic patients are generally more satisfied with their recovery than people undergoing medical treatment. According to the experts, the main aspects that patients preferred over medical treatment were "self-care advice and explanation of treatment." This isn't unexpected, as chiropractors tend to spend much more time advising their patients as to how they can improve their health on their own, as well as discussing more thoroughly what to expect from chiropractic care. Without a doubt, the techniques associated with chiropractic are quite different than those available with medical care, but a great deal of the distinction is the fact that chiropractic is a holistic approach to health and well-being. Instead of focusing on only relieving the symptoms, chiropractic care involves finding the primary cause of your pain, which often results in greater improvement as you are addressing the problem at its source. In addition, while medication is sometimes helpful for treating certain conditions, many health issues respond well to a natural approach like chiropractic. This means fewer negative side effects from medications and lasting results. You don't have to struggle with back pain or other health issues. Give our Highland Park, Saint Paul, Minnesota office a call today at (651) 699-3366. We'll do everything we can to help you get and stay free from back pain. If you live in Highland Park, Saint Paul, Minnesota and you've been in a car accident, you have to know that you don't have to suffer from chronic problems. We work with many auto injury sufferers in our Highland Park, Saint Paul, Minnesota office, and many of these people are suffering from chronic pain caused by an old collision. As a matter of fact, research shows that a significant proportion of rear-end collisions cause pain and disability even ten years after the original injury. Robert C Slater, DC is here to help you avoid developing chronic pain by helping to restore the natural function of your spine soon after a motor vehicle accident. The most common causes of chronic problems are reduced flexibility of your spinal column and the development of scar tissue in your spine. The ligaments of your neck and back can easily be damaged during a collision, and chiropractic care works by minimizing inflammation and restoring normal movement. If you're nearby our Highland Park, Saint Paul, Minnesota office, and you've been hurt in a crash, don't wait to get care. Robert C Slater, DC is here for you. Give us a call today at (651) 699-3366 for an appointment or for more information. Each year, there are millions of auto accidents in the world, and a significant number of men and women end up getting hurt in a crash. While most collisions are "minor," chronic neck and back pain are still common health issues. The good news is that chiropractic is a fantastic way to address these kinds of injuries. We have treated many auto collision patients in our Highland Park, Saint Paul, Minnesota office, and Robert C Slater, DC has been treating people with these types of injuries since 1980. During a car accident, your body is subjected to powerful forces that it simply wasn't built to handle. These forces place strain and stress on your neck, shoulder, and back, and can result in injury to the ligaments that hold your neck and back together. A crash can result in a wide range of pain problems. A ligament sprain in the neck can trigger pain, swelling, and radicular symptoms in the arm and hand. Chiropractic care works well for these types of injuries, because chiropractic concentrates on restoring the healthy function and mobility of the injured tissues. Robert C Slater, DC, your Highland Park, Saint Paul, Minnesota chiropractor, can assist by decreasing inflammation in the injured area and can help decrease the formation of scar tissue that can cause chronic pain and disability. 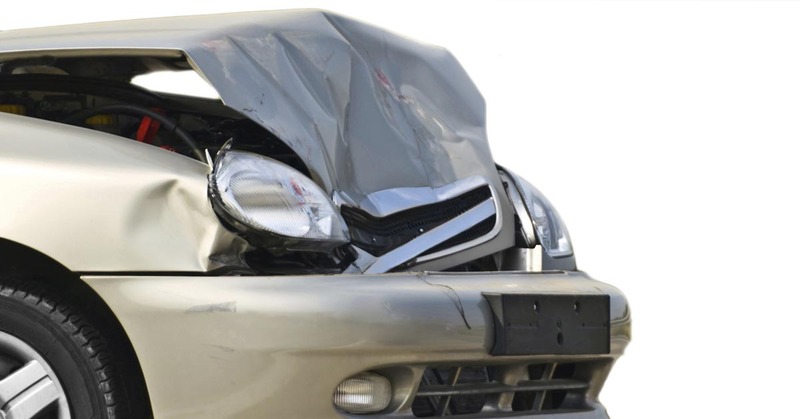 You don't have to suffer from auto injury pain. Learn more about how we can help you recover or call Robert C Slater, DC today at (651) 699-3366. Jaw pain is a fairly common condition experienced by many people after a car crash, and it can be challenging for some health practitioners to diagnose the root of the problem. Complicating the matter, oftentimes you won't develop TMJ symptoms until many weeks or months after the accident. Robert C Slater, DC has treated many people with jaw pain after an injury, and the medical research explains what produces these types of problems. During a crash, the tissues in your spine are commonly stretched or torn, causing ligament, muscle, or nerve injury. This can obviously cause pain in the neck and back, but since your nervous system is one functioning unit, irritation of the nerves can cause issues in other parts of your body. For example, with radicular pain, irritation of a nerve can cause prickling or numbness in the arm or hand. Similarly, it can affect parts of your body above the injury, like your head and jaw. Headaches after a collision are very common because of neck injury, and the jaw works the same way. Robert C Slater, DC sees this very commonly in our Highland Park, Saint Paul, Minnesota office. Research indicates that the root of many jaw or TMJ symptoms begins in the neck and that treatment of the underlying neck injury can resolve the secondary headaches or jaw symptoms. The key to resolving these symptoms is simple: Robert C Slater, DC will work to restore your spinal column back to health, alleviating the inflammation, treating the injured areas, and removing the irritation to the nerves in your spine. Robert C Slater, DC finds that jaw and headache symptoms often resolve once we restore your spine to its healthy condition. If you reside in Highland Park, Saint Paul, Minnesota and you've been injured in a car crash, Robert C Slater, DC can help. We've been treating auto injury patients since 1980, and we can most likely help you, too. Give our office a call today at (651) 699-3366 for an appointment or consultation. Over 2 million people are hurt every year in car accidents in the U.S. While some people are able to recover from their injuries relatively easily, too many people are left to deal with chronic pain and impairment. We see many of these patients here in our Highland Park, Saint Paul, Minnesota office. Fortunately, Robert C Slater, DC is here to help you recover from your auto injury. The science confirms what we see in our office: A British study was conducted on 28 individuals diagnosed with chronic whiplash syndrome. Each participant received chiropractic care and 93 percent of them experienced pain relief following their adjustments, even though 43 percent of whiplash sufferers overall usually never find relief. This confirms that chiropractic is a great way to avoid long-term pain after an auto injury. It's important to remember that studies have also found that putting off treatment after a car crash can negatively affect recovery time, so getting in to see Robert C Slater, DC immediately is key to having a quicker recovery. Robert C Slater, DC has helped many auto injury sufferers, and we're here to help you, too. Call our Highland Park, Saint Paul, Minnesota office today for more information or an appointment.